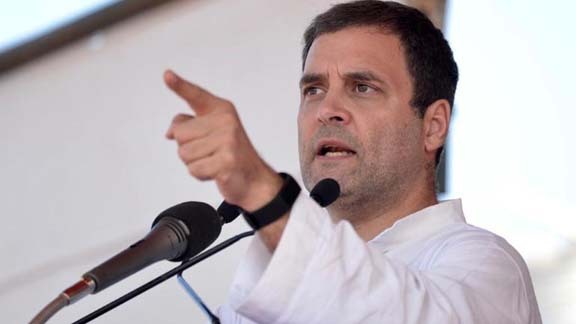 In a letter to Imphal-based journalist Kishore Chandra Wangkhem, who has been jailed under the NSA, Congress president Rahul Gandhi lashed out at the BJP-led Central Government stating that it has made a design to “trample on constitutional rights of the people of Manipur”. The Congress chief condemned the detention of Manipur journalist Wangkhem under the National Security Act (NSA). Wangkhem, a TV journalist, was arrested on November 27 last year under NSA on the charge of criticising Prime Minister Narendra Modi and Manipur Chief Minister N. Biren for celebrating the birth anniversary of Rani of Jhansi at Imphal. The Imphal-based journalist was sentenced to one-year detention under NSA, nearly a month after he was taken into custody for allegedly targeting the ruling BJP Government and Prime Minister Modi in a social media post. Earlier, on November 21, Kishorechandra, then working as an anchor-reporter with ISTV, a local news channel, was arrested by Imphal West Police, for a video he uploaded on the social media. In the video, which went viral on the social media, Wangkhem raised question over the contribution of the Rani of Jhansi to Manipur’s freedom movement and slammed BJP and RSS.